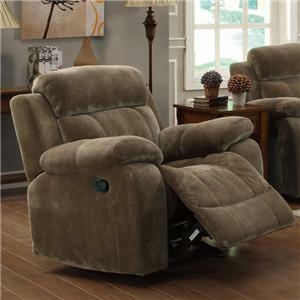 Whether you're having a family gathering or hosting a game night, this love seat is sure to make the occasion more enjoyable. 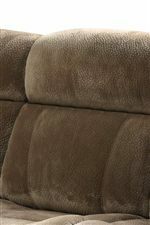 The motion piece features plush bonded seating that contrasts beautifully with the baseball stitching for a touch of style. 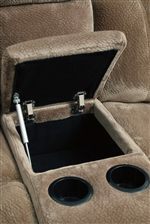 In addition, the built-in cup holders as well as the below storage compartment provide convenience. 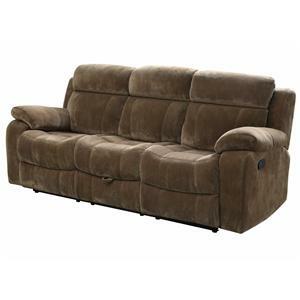 You'll be set with this loveseat in your home. 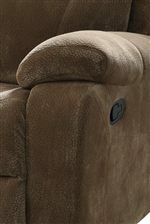 The Myleene Double Gliding Loveseat w/ Cup Holders by Coaster at Value City Furniture in the New Jersey, NJ, Staten Island, Hoboken area. Product availability may vary. Contact us for the most current availability on this product. 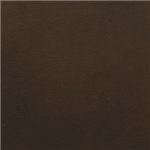 Fabric Options Available as shown in either a brown bonded leather match or a brown padded velvet fabric. Whether you’re having a family gathering or hosting game night or movie night, the Myleene collection is ready to meet your needs. 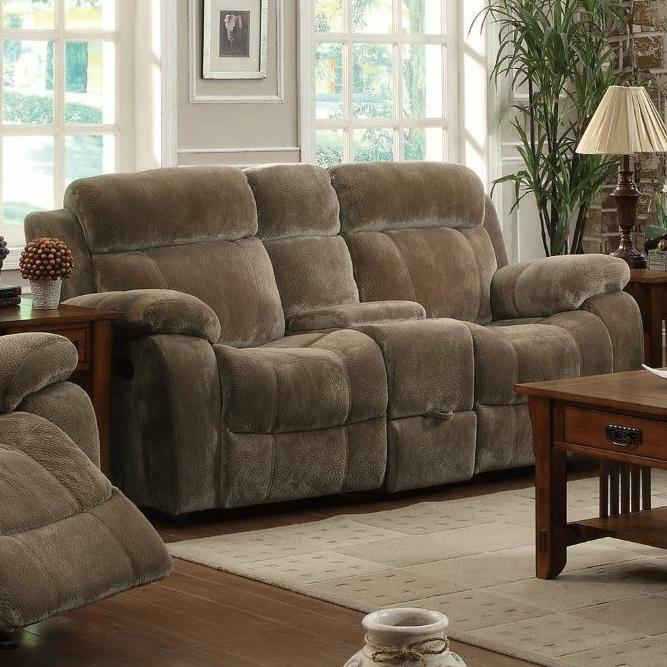 This motion living room pieces feature plush seating as well as contrasting stitching, which adds a touch of style. 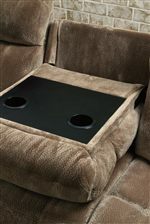 Plus, the sofa and love seat are equipped with built-in cup holders for your convenience while the love seat also features a below storage compartment and two gliders. Make your living room a comfortable and casual location with help from the Myleene collection. The Myleene collection is a great option if you are looking for Casual furniture in the New Jersey, NJ, Staten Island, Hoboken area. 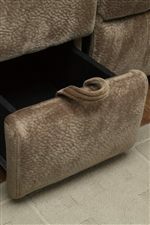 Browse other items in the Myleene collection from Value City Furniture in the New Jersey, NJ, Staten Island, Hoboken area.